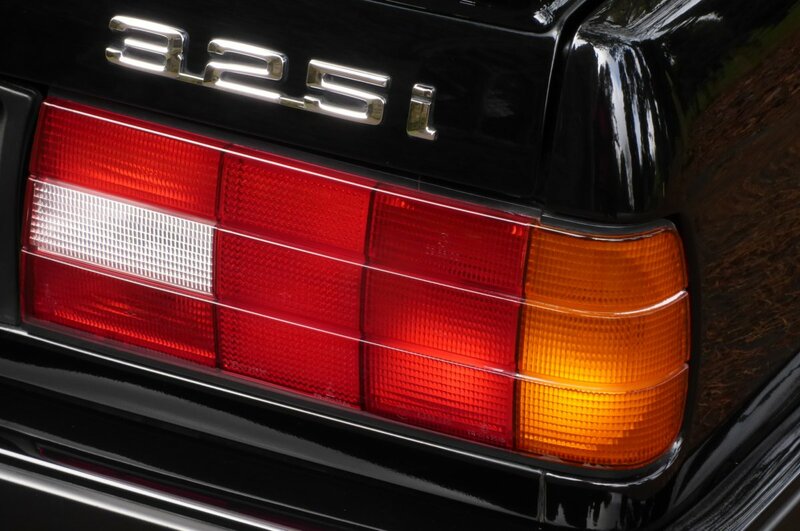 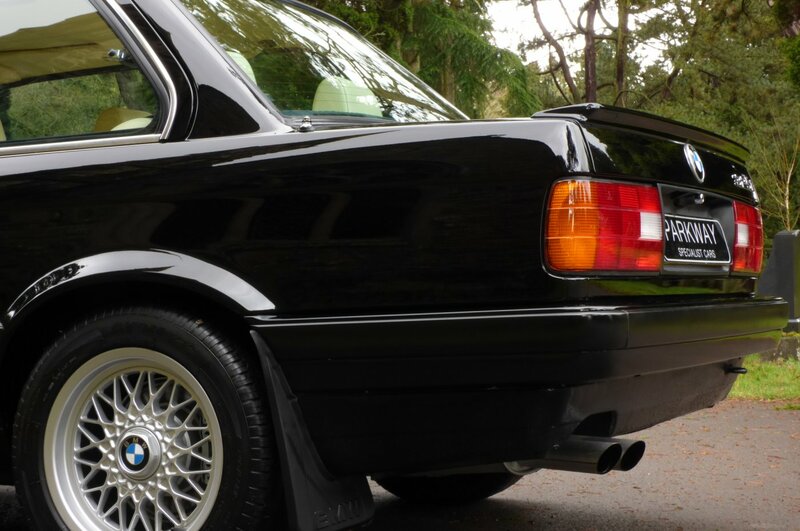 The Second Generation BMW 3 Series Was First Showcased To The World In 1982, After The Final Run Of The Much Loved E21 Model, With This All New Model Designed By Claus Luthe And Max Reisböck To Follow Similar Body Lines And Signature Characteristic Curves From Its Successful Predecessor. 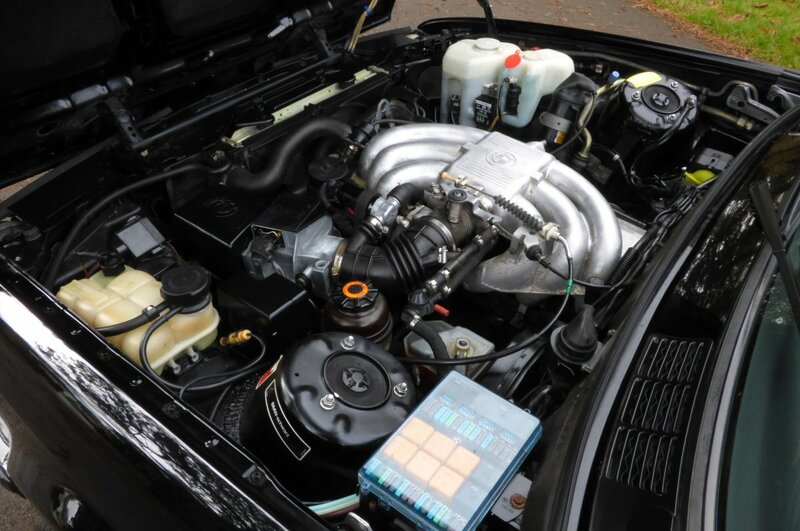 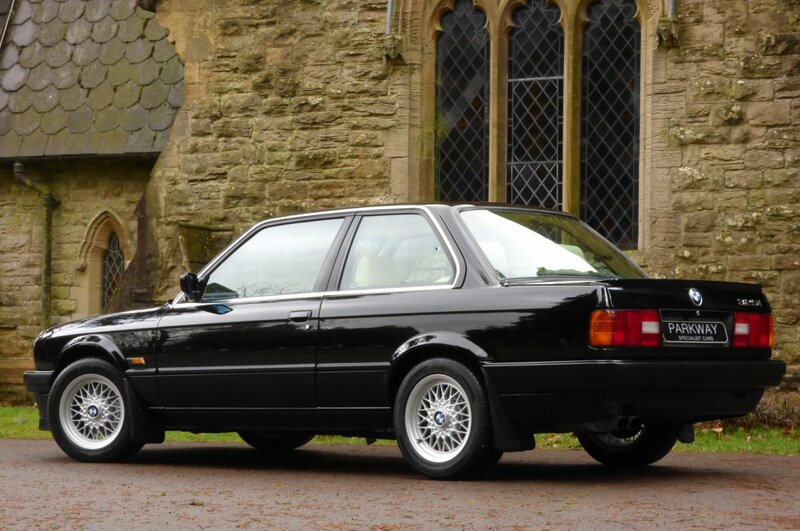 This Was To Be One Of The First BMW`s That Set The Company On A Long Run Of Offering Exceptional Motor Vehicles, To Which Was Instantly Adored By New Global Buyers, The Critical Motoring Press And Was Also Hugely Popular With Amateur Motorsport Enthusiasts Around The World, Due To The Perfect Balance Of Rear Wheel Drive Combined With Front Mounted Engine Cars, Creating A Sensational All Out Track Car. 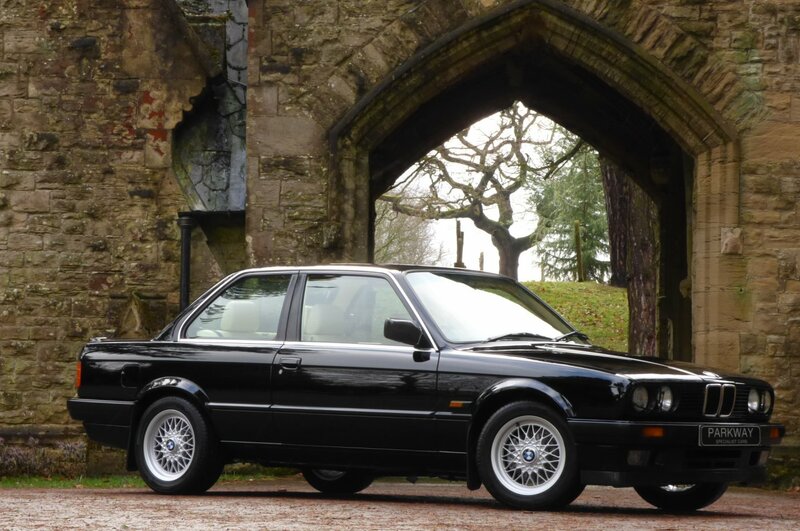 There Was No Real Surprises That Over A Small Period Of Time The E30 Was Seen As The Ultimate Driving Machine And Still Now After Nearly Twenty Seven Years, Chassis Number EG28004 Offers Us An Exterior Body That Has Aged Remarkably Well And World Class Driving Pleasures, All Of Which Has Made This Model Highly Attractive And Interesting To A New Breed Of Modern Day Classic Car Collectors On A Truly Global Scale. 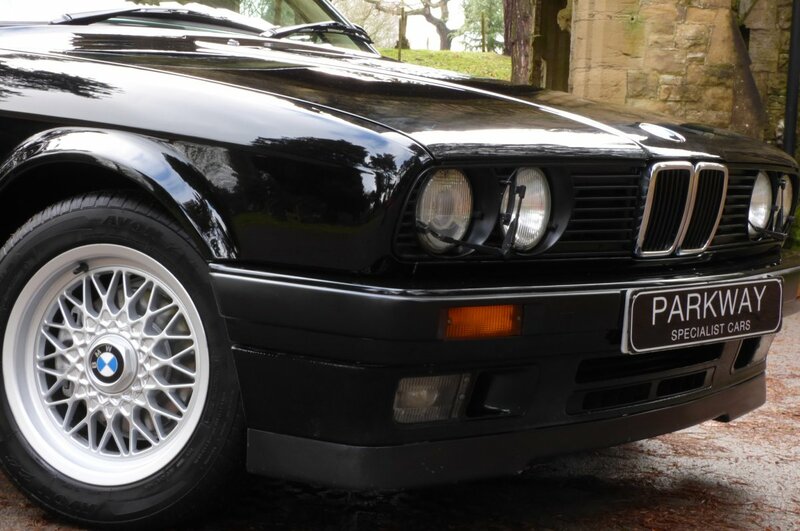 The German Factory Produced Well Over Two And a Half Million Units Worldwide, During A Span Of Just Over Twelve Years And For Many Years Was The Most Successful Vehicle Made From The Factory In Munich, With The Passionate E30 Fan Data Base To Be Truly Massive In Comparisons To The Original Build Slots, However Sadly Many Cars Available On The Market Place For 2018 Are In Sorry States Of Condition, With Past Historical Service Evidence Either Being Rather Poor Or Lost Over The Years, So With This We Are Of Course Delighted To Have This Stunning Little Example With Excellent Past History To Become Available On Our Current Vehicle Inventory And Would Be Well Suited To A New Or Already Established Collectable Vehicle Collection. 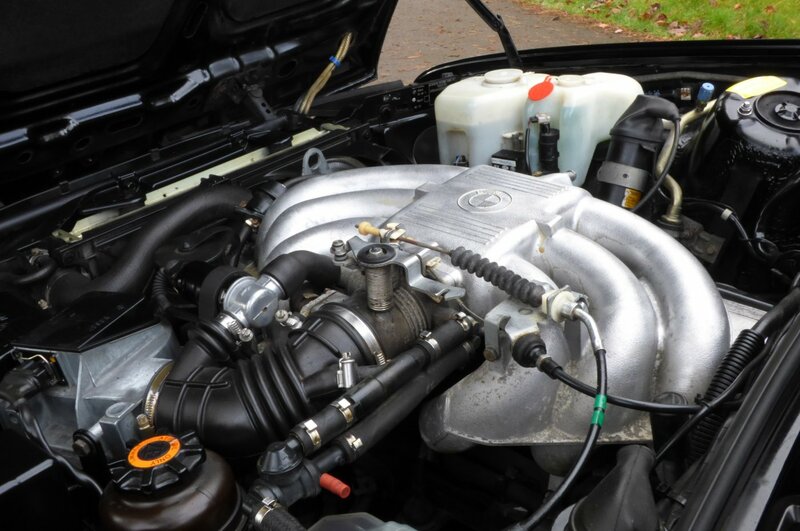 This Example Was Fitted With The More Desirable Two Point Five Litre, Six Cylinder Petrol Engine Which At Time Of Build Produced A More Than Healthy 171 Brake Horse Power, With The 0-62 Time Accomplished In Ten Seconds Flat And A Top Speed Of 128 MPH, Which Was More Than Ample To Delight The Purist Of Drivers. 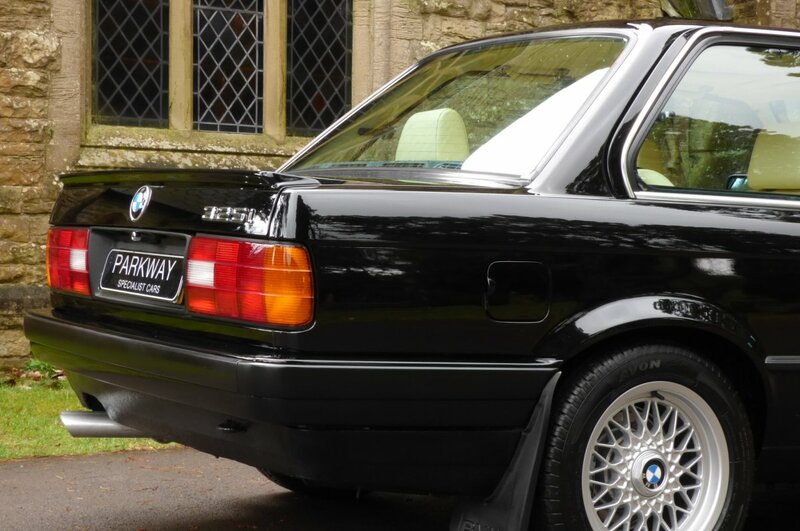 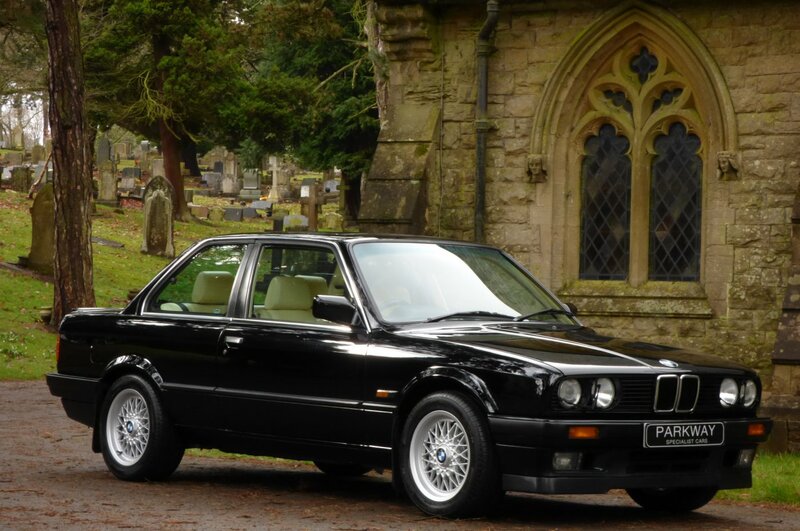 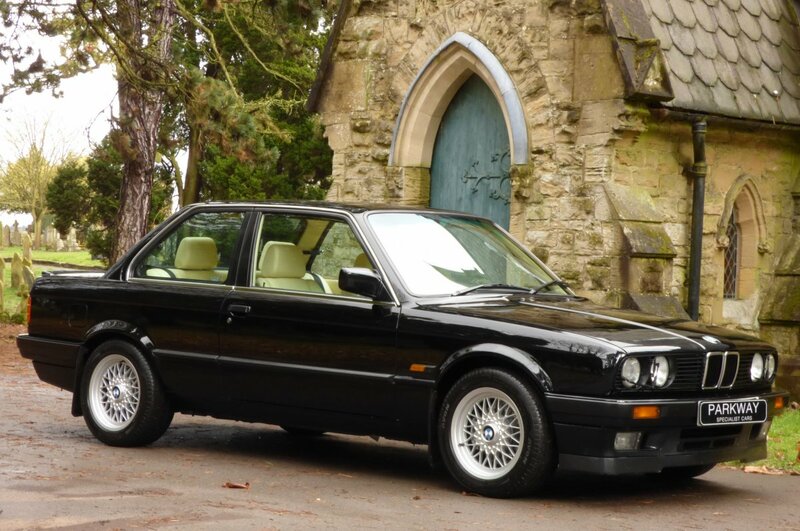 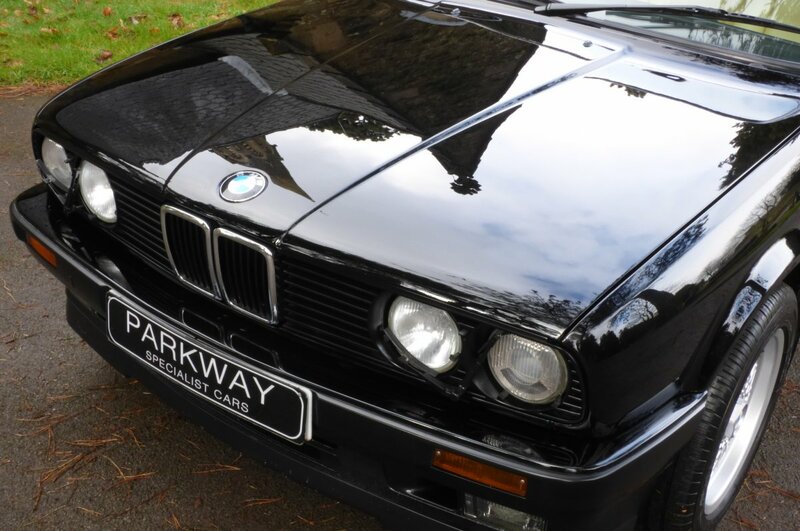 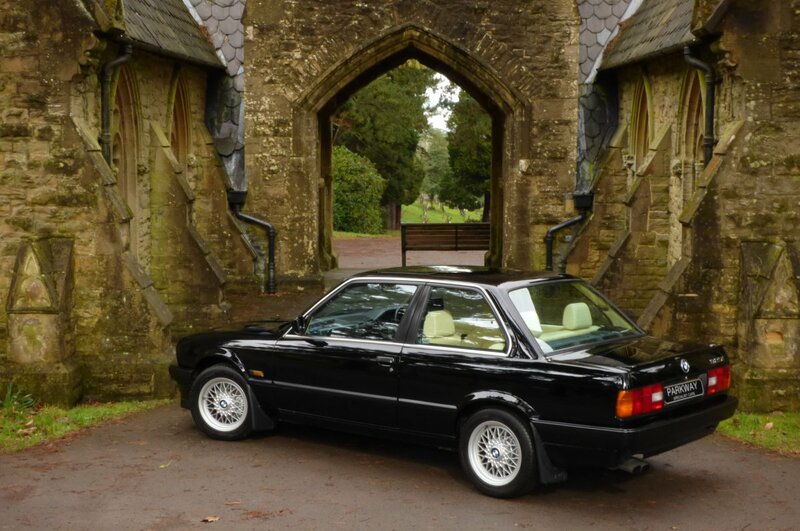 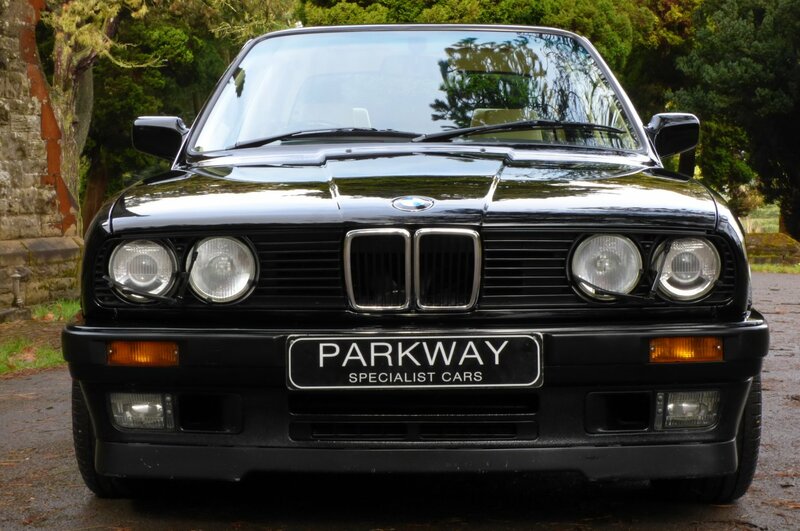 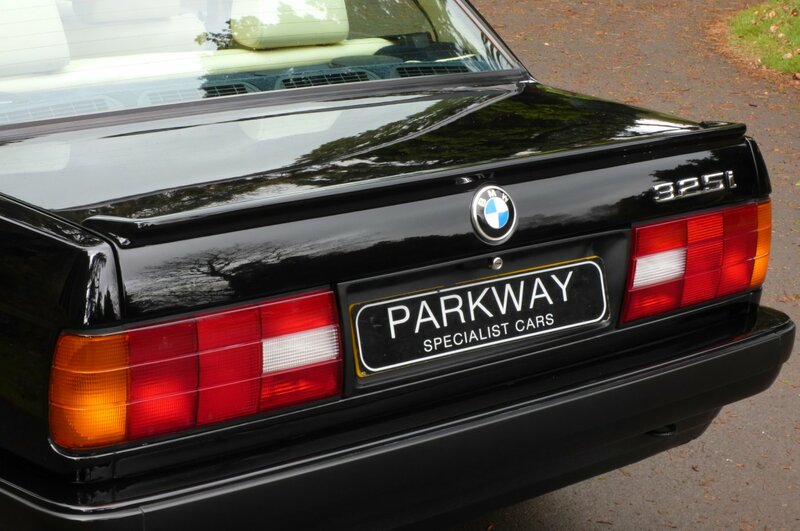 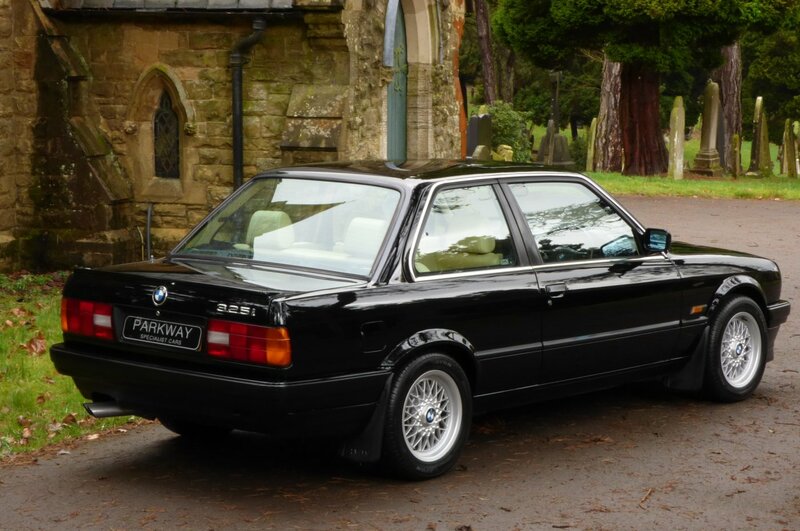 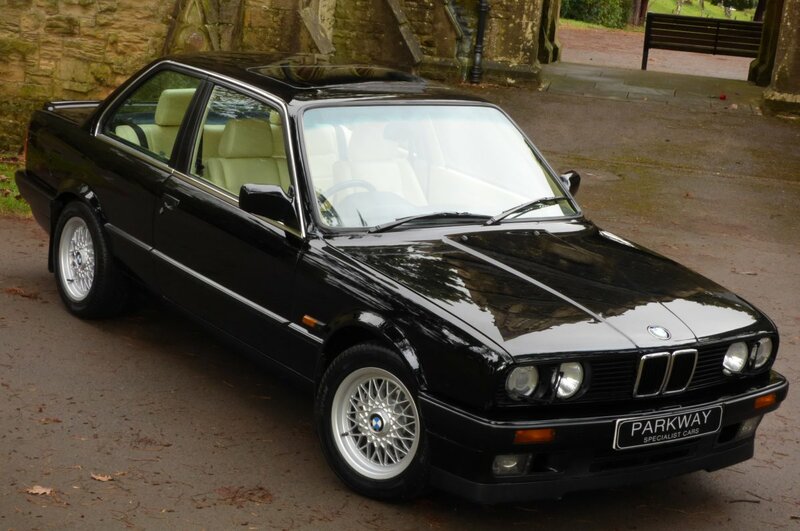 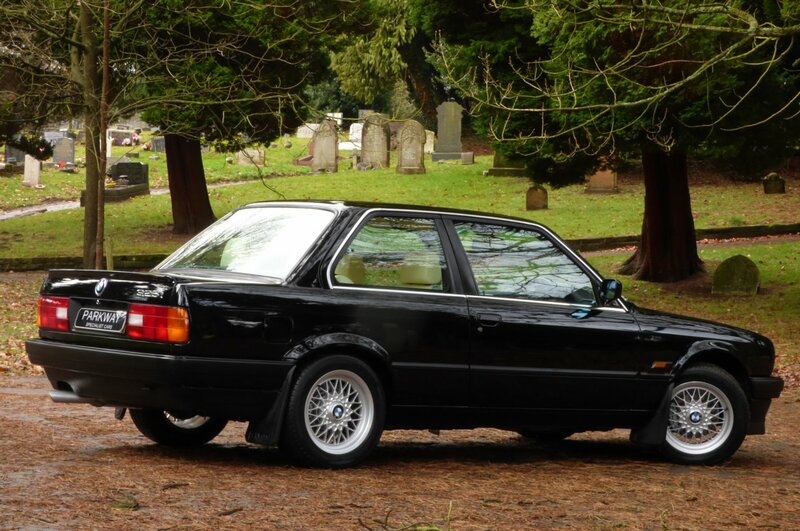 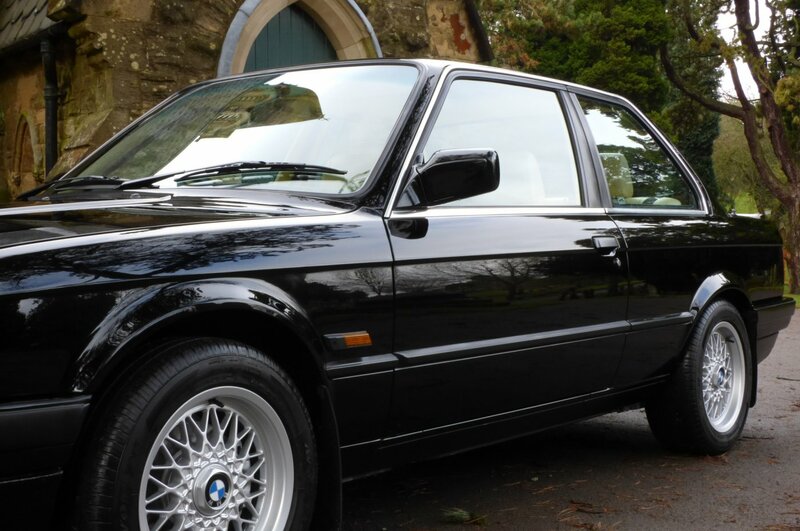 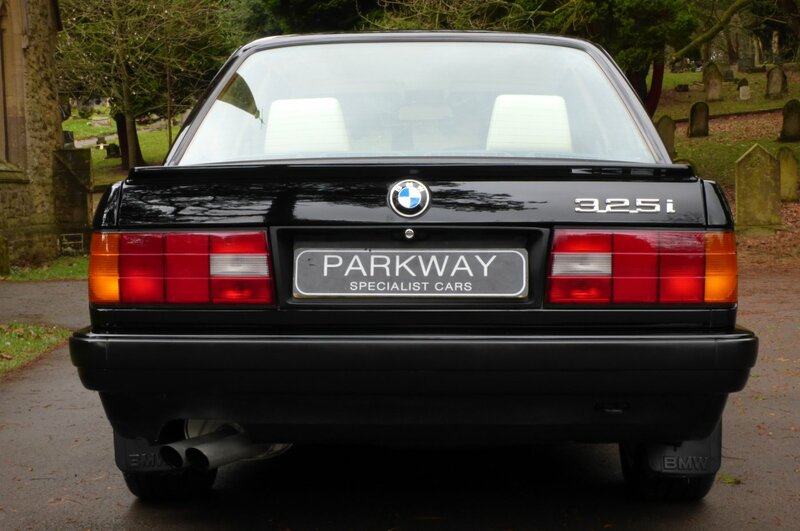 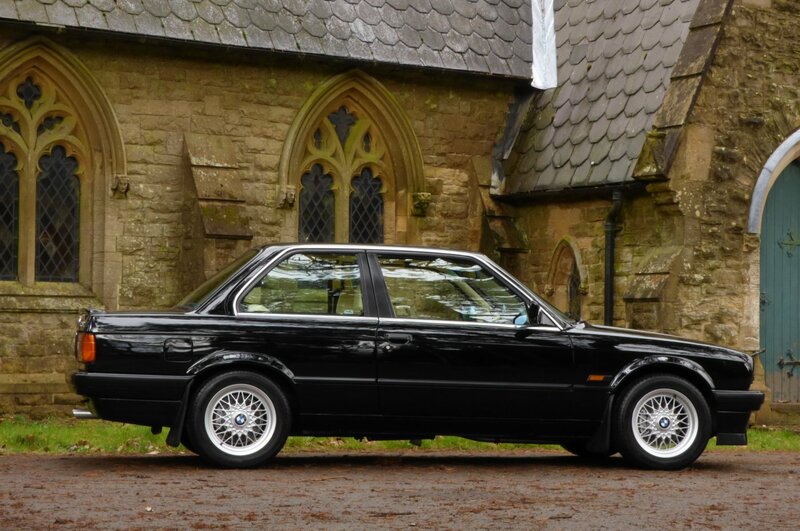 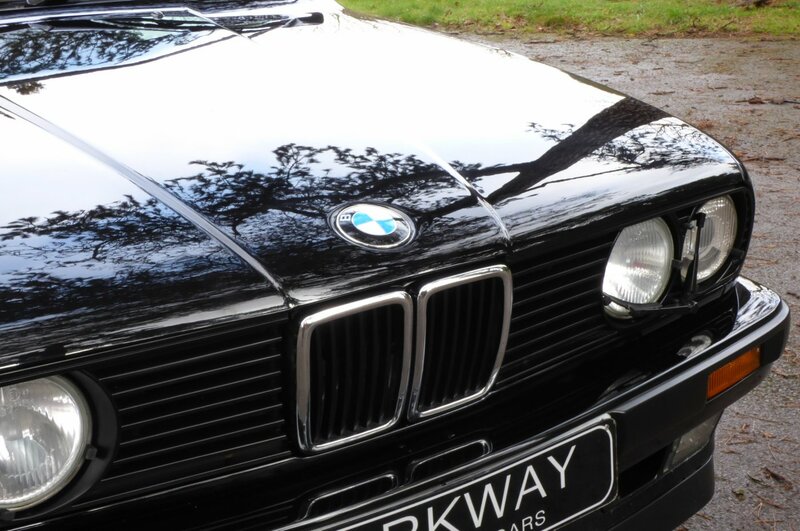 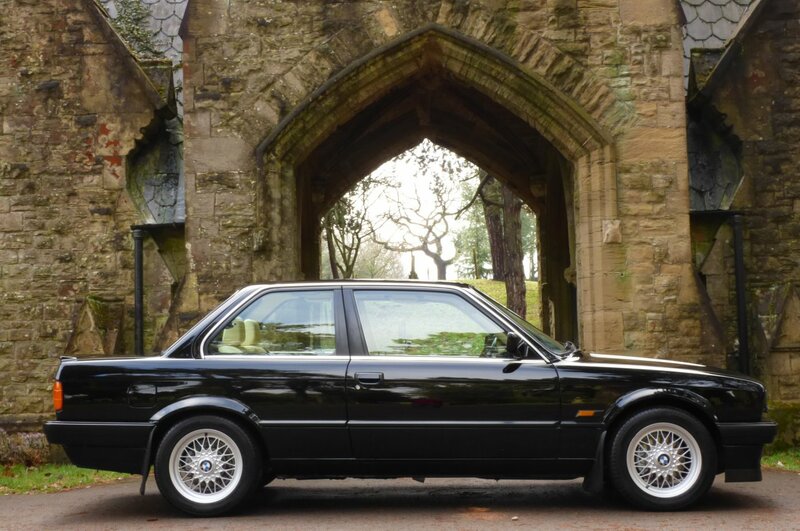 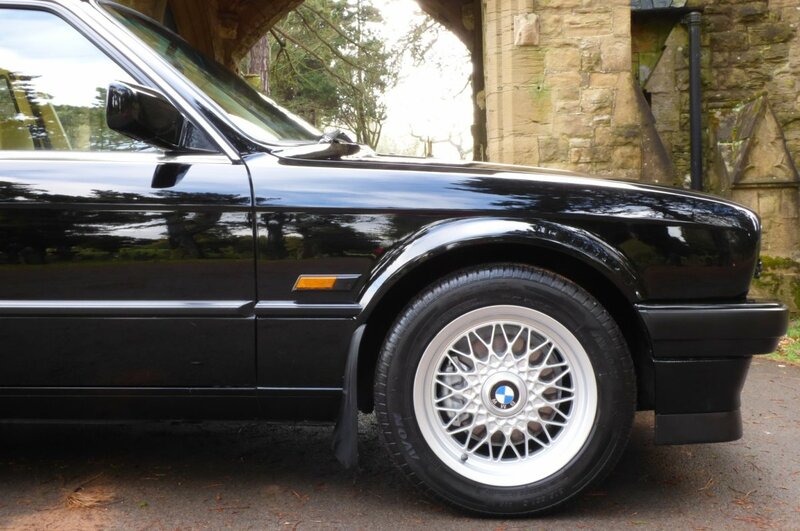 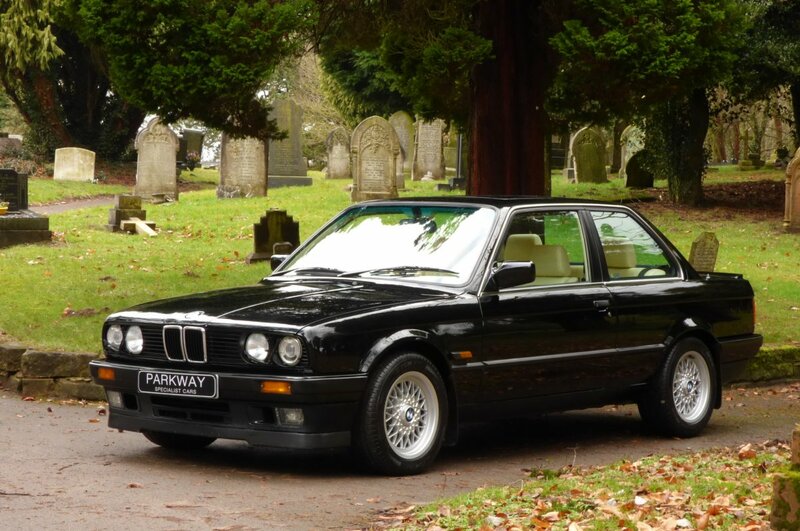 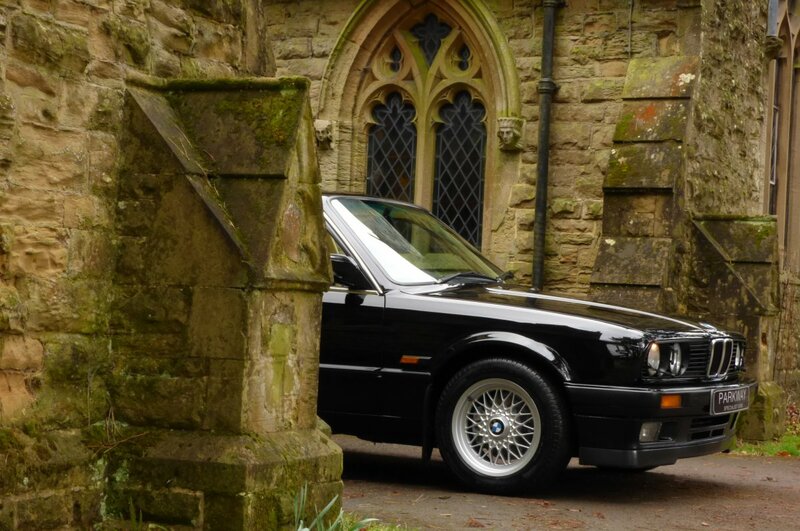 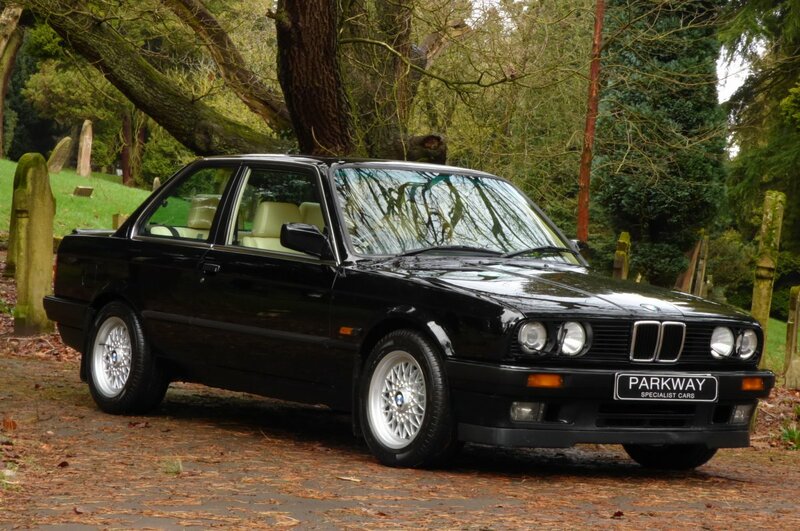 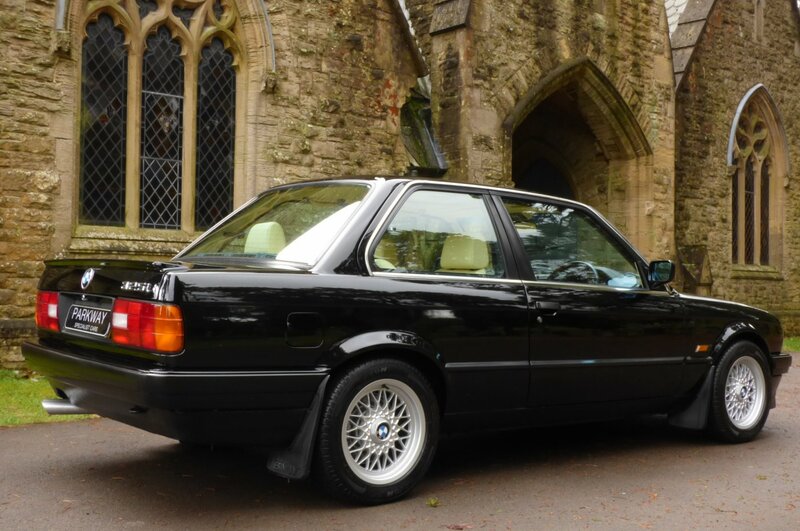 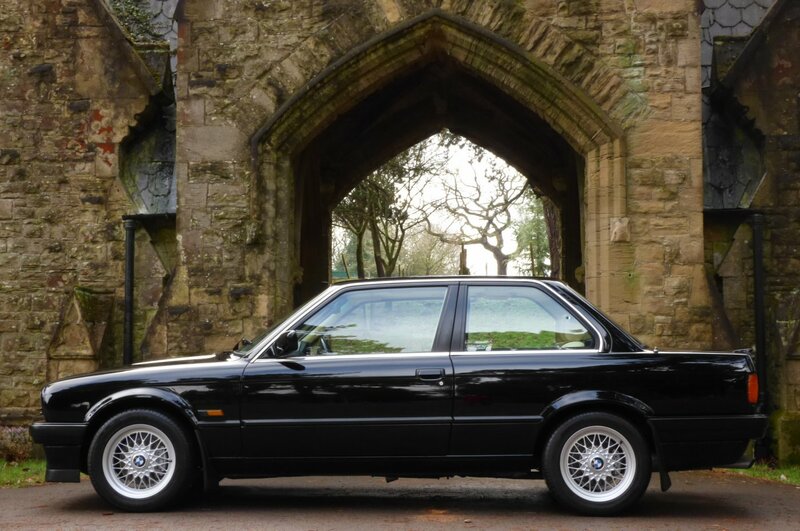 This Lovely Example Was First Supplied By Altwood BMW In Slough In The August Of 1990 And Since This Date Has Only Had Just Three Private Keepers From New, With The Last Acquiring The Car Back In The July Of 2004, With All This Now Viewed As Being Very Rare To Now Find. 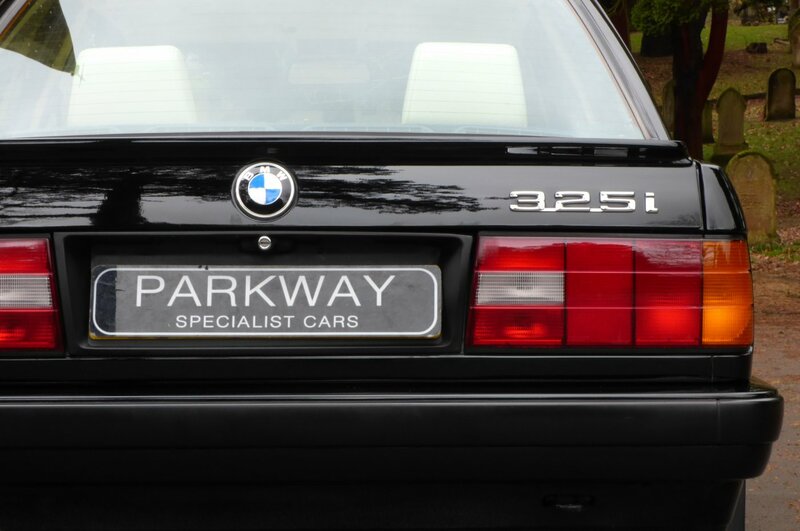 Over The Years This Example Has Covered 90451 Miles, Which If We Break This Down Further Is About 3400 Miles Per Annum, However Regardless Of This Sensibly Reported Current Mileage Reading Our Example Has Been Maintained To The Highest Of Standards With Past Historical Service Visits Logged At 3952, 5452, 5636, 5834, 14919, 20668, 27618, 33874, 40923, 46944, 53720, 60197, 67162, 74114, 75710, 82034, 85073 & 88800 Miles And Will Have A Full Service Completed By Our Fully Trained And Knowledgeable Workshops Prior To The Next Lucky Person Taking Their Ownership.  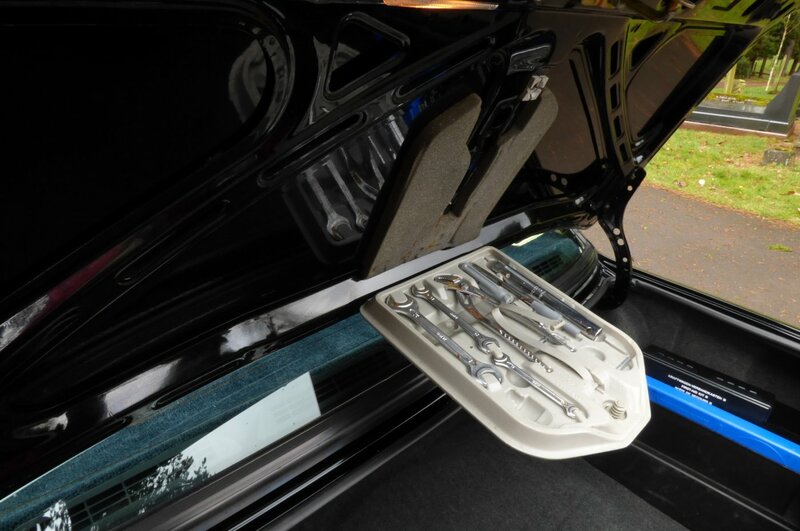 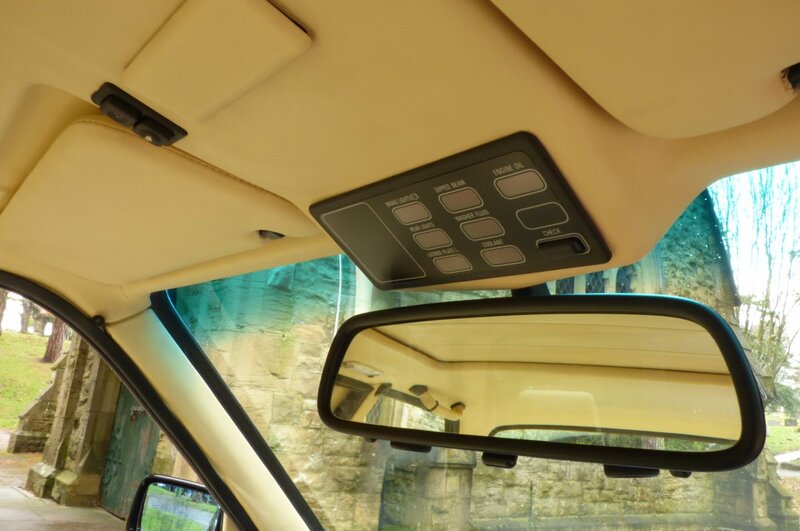 Also As Part Of The Vehicle Presentation We Will Be Delighted To Offer A Full Booklet Pack Set, An Extensive Past Invoice Trace Which Totals Well Over £13000 Worth Of Old Receipts, A Fully cleared Hpi Report And A Fully Functional Key Set, For That Next Person To Enjoy And Cherish For Years To Come. 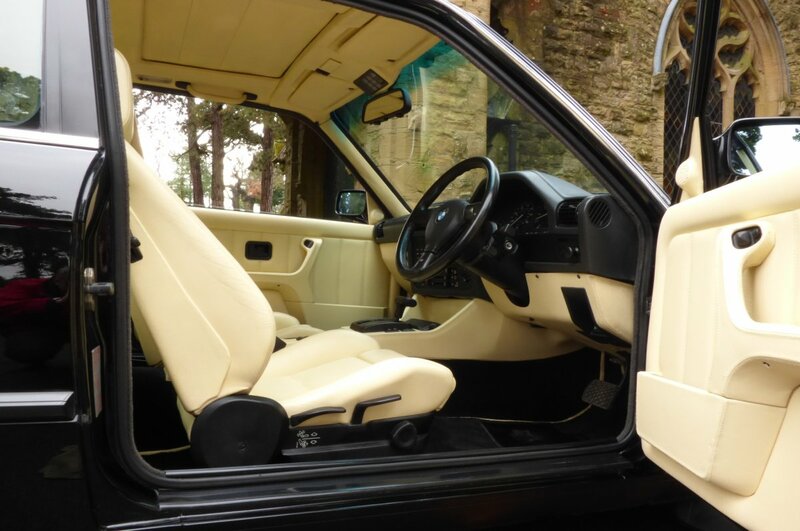 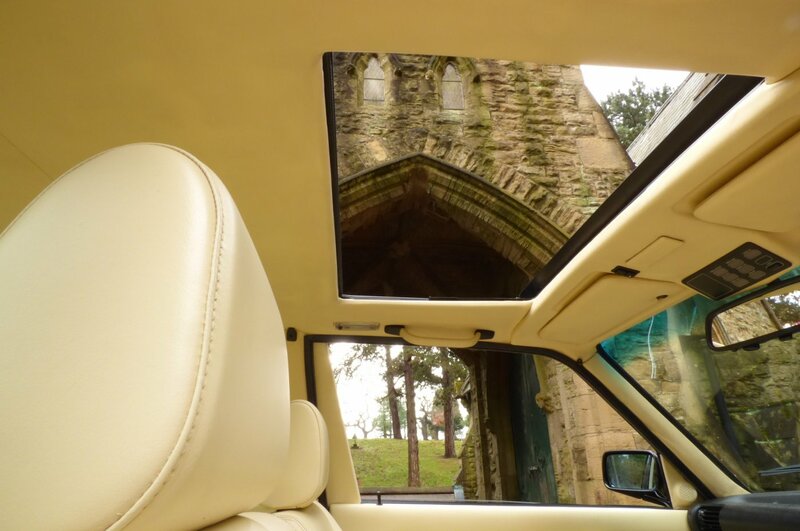 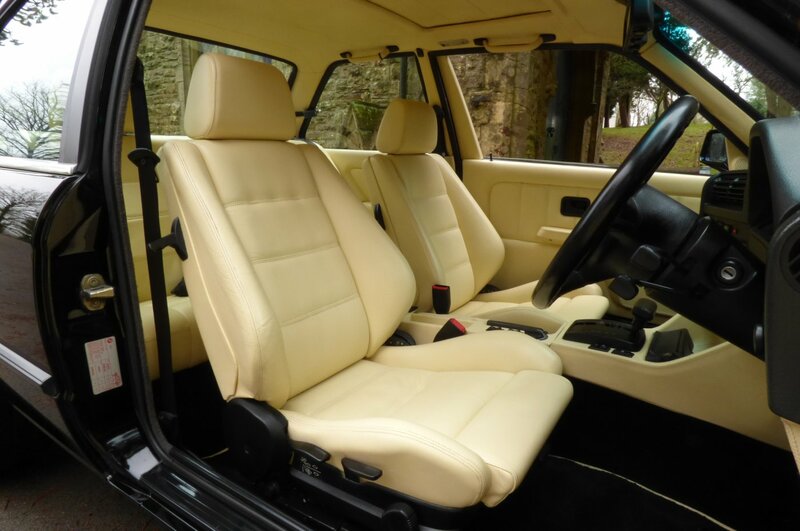 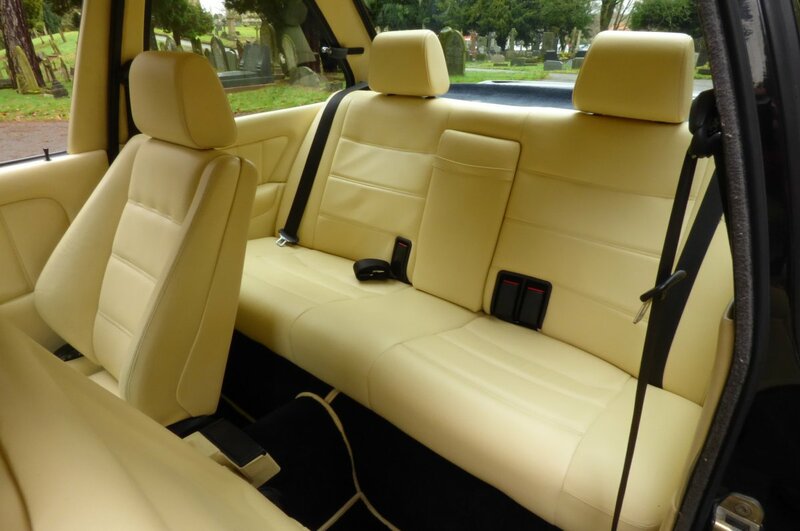 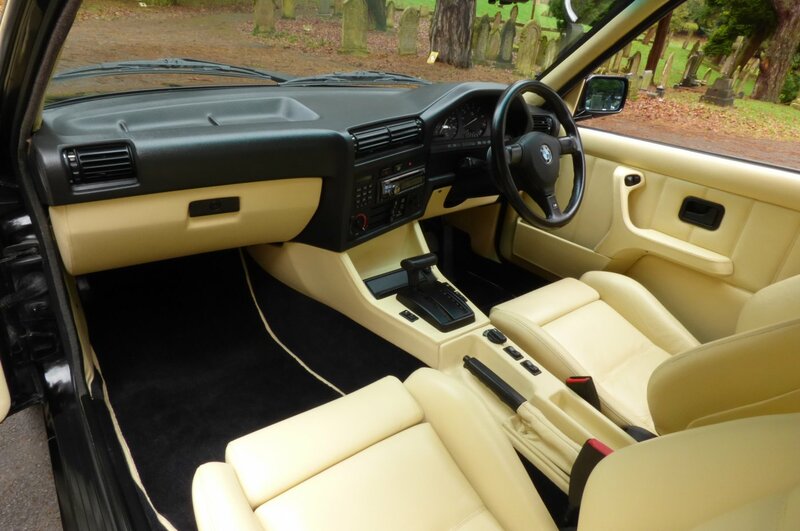 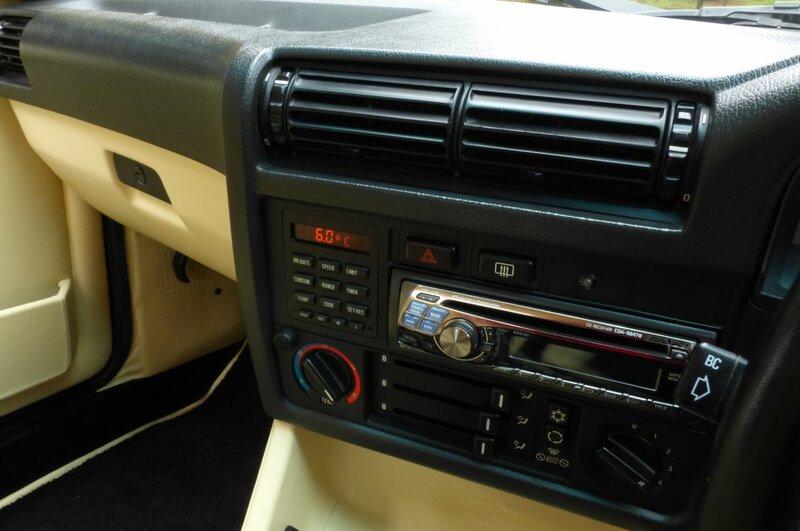 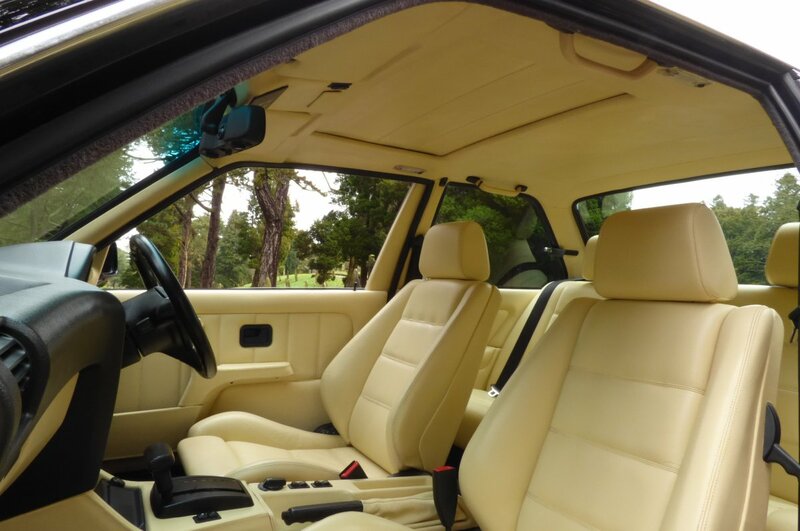 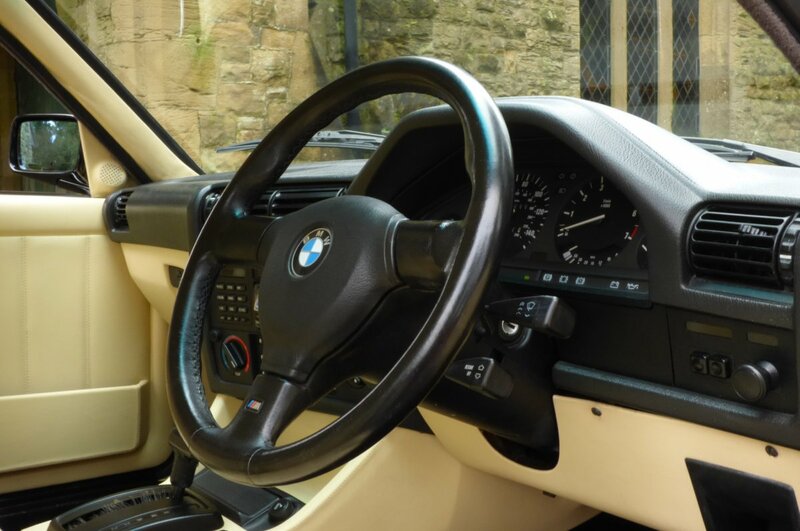 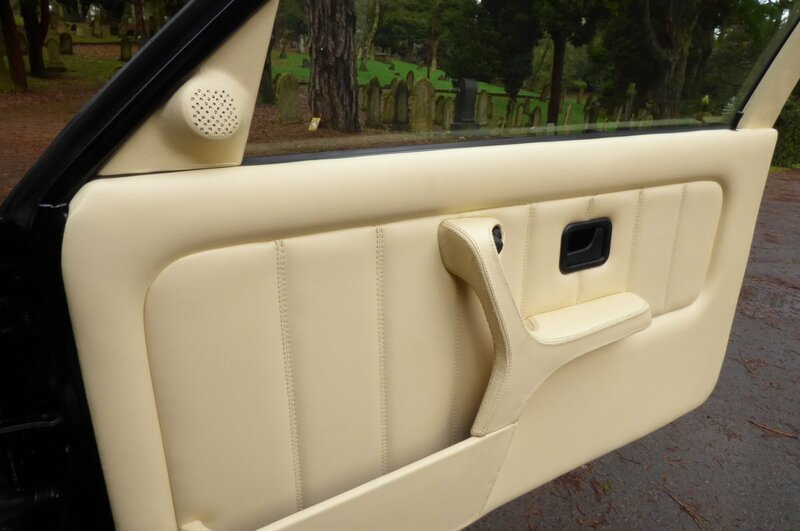 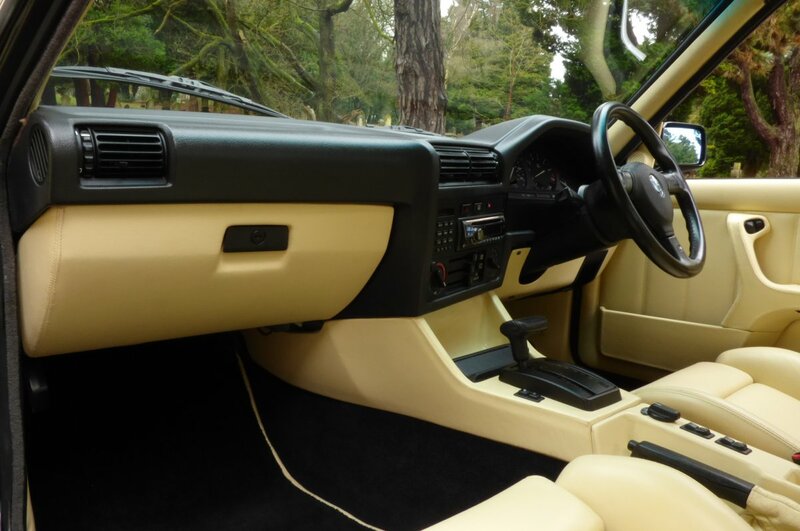 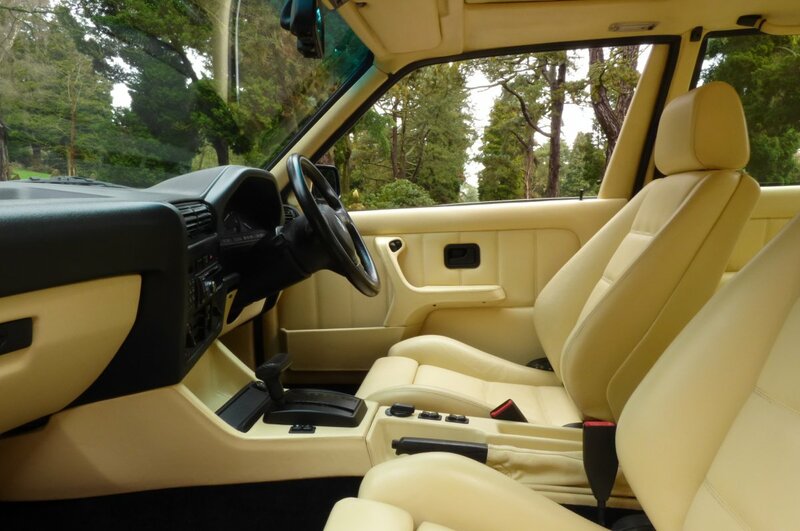 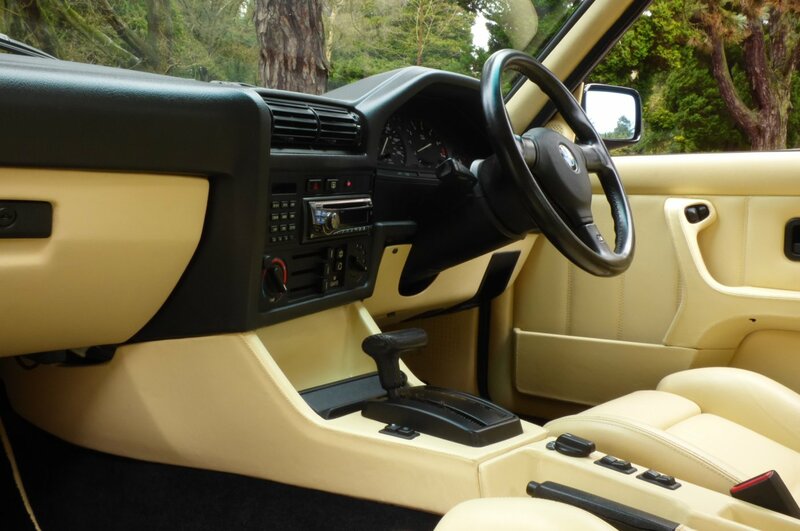 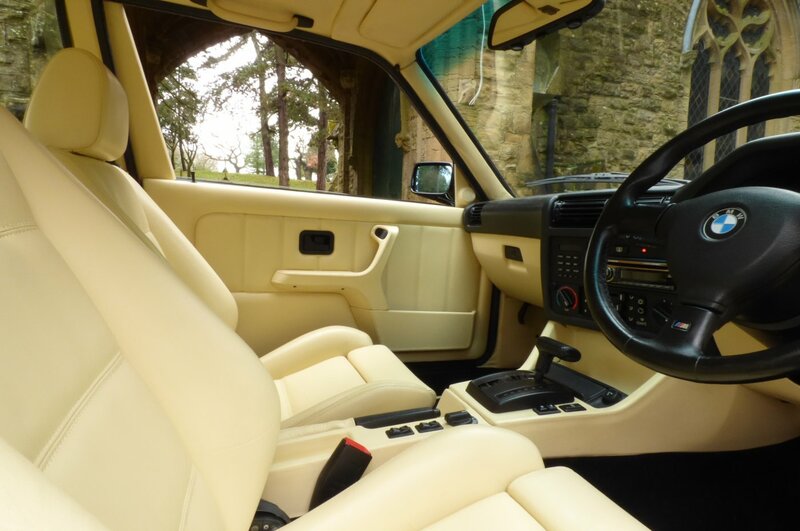 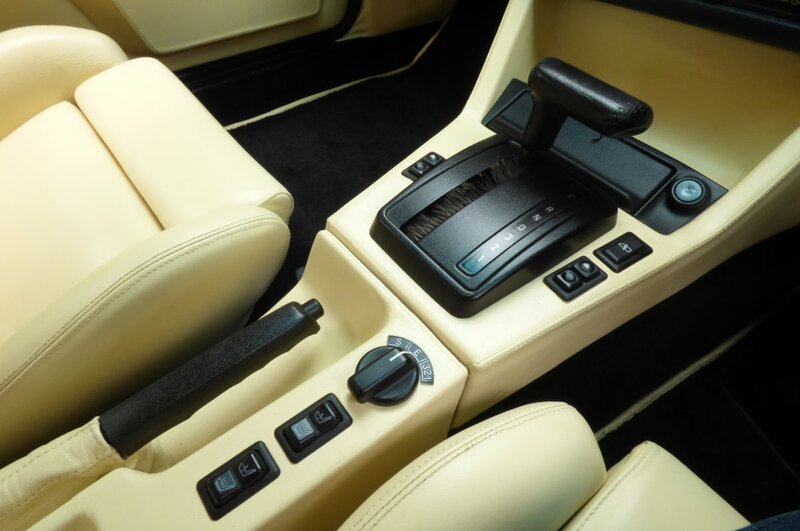 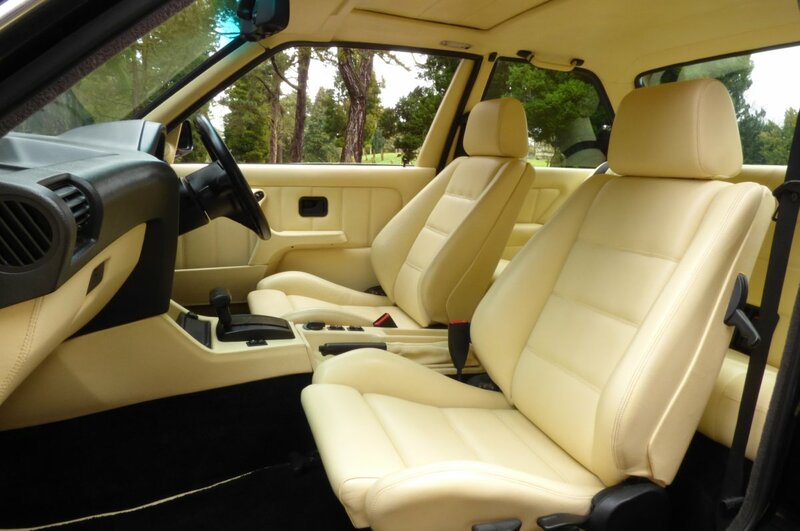 The Interior Instantly Takes You Back To The Early 1990`s, With Stereotypical German Build Quality Still Being Evident Even After All These Years And We Are Delighted To Confirm That The Internal Space Of Our Very Special Example Is Presented In Stunning Total Condition. 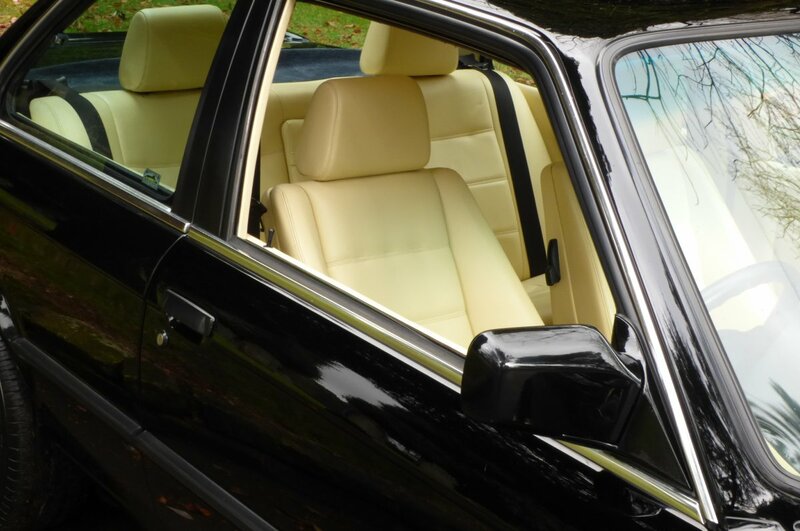 Chassis Number EG28004 Is Presented With The Ivory Leather Sport Seating Beautifully Complemented With Ivory Twin Needle Stitch Detail, The Two Tone Black And Ivory Dash That Wraps Around This Retro Cabin, The Ivory Leather Trimmed Door Cards, The Black Carpets That Have Been Protected With Over Mats, The Ivory Leather Trimmed Roof Lining, The Black Seat Belts, The Ivory Coloured Centre Tunnel, The Three Spoke Black Leather Bound Steering Wheel Which Is Detailed With The BMW Motif And Presented With The Factory Vehicle Display Computers, That Finalised This Timeless Interior Off Perfectly Well. 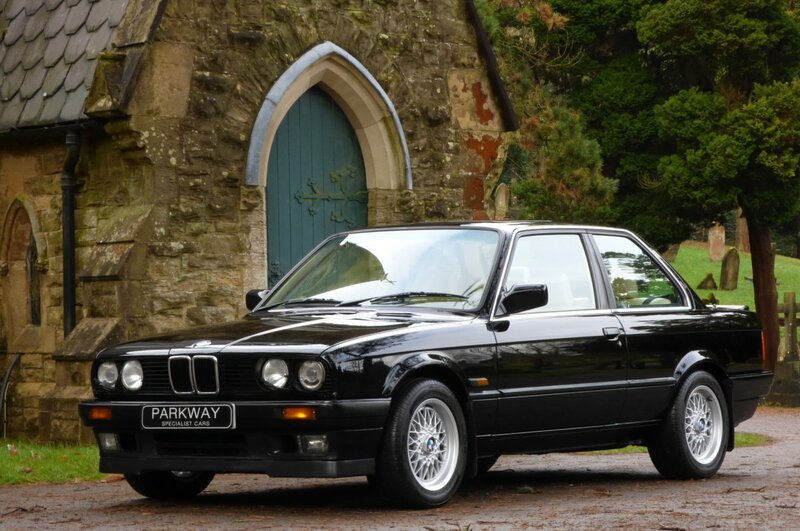 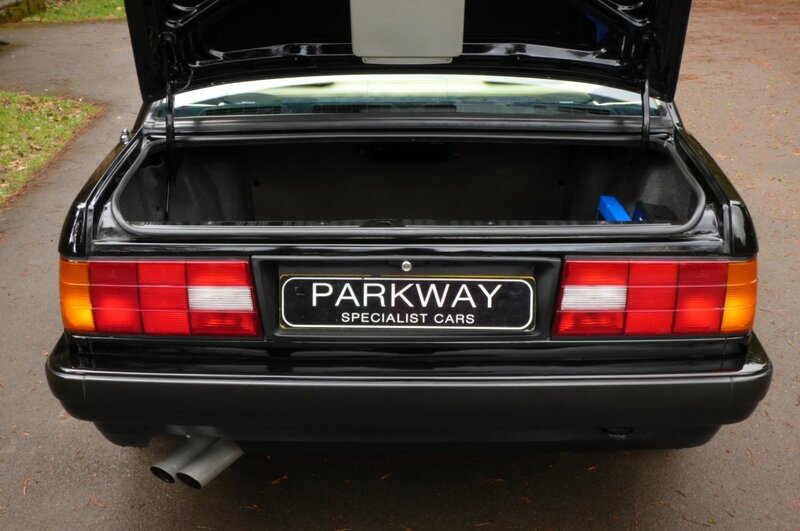 A Great Car Available To Undertake Many New Motoring Adventures For Years To Come. 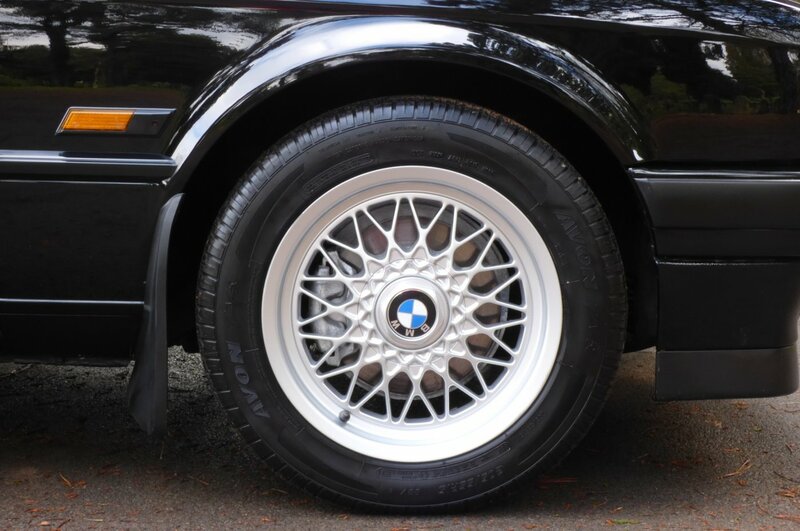 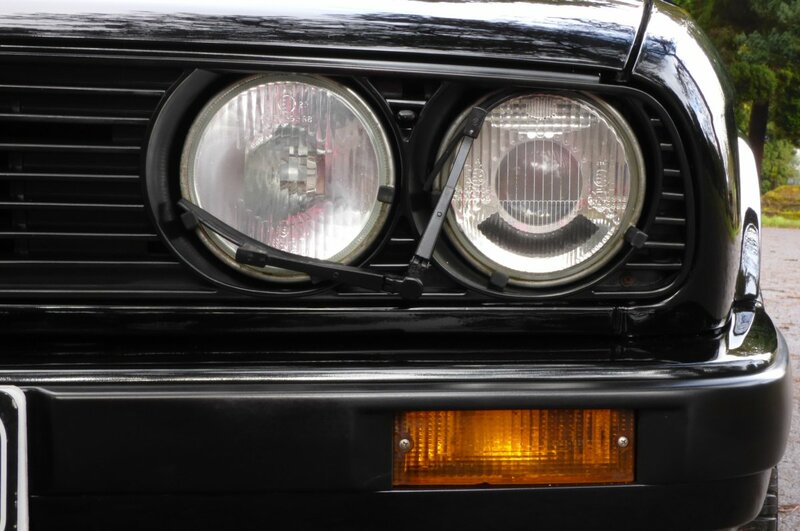 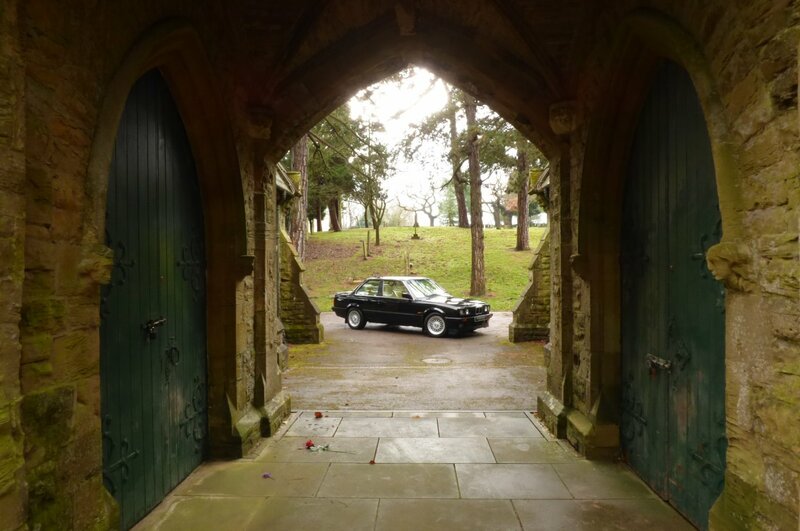 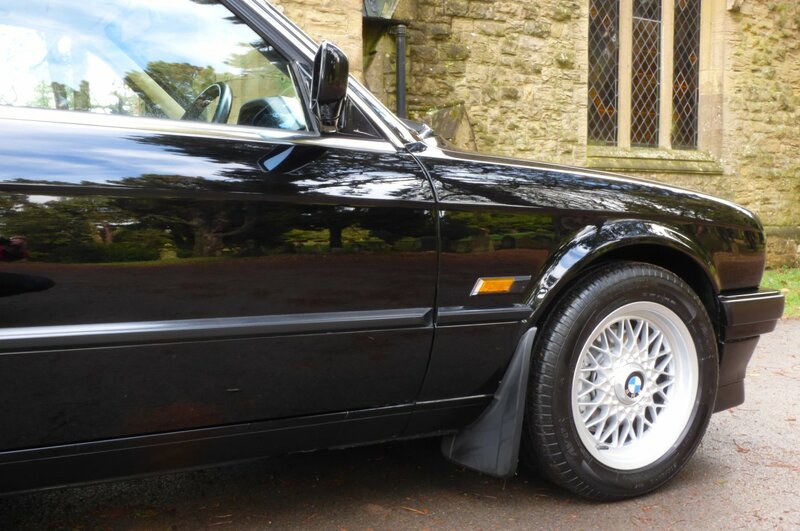 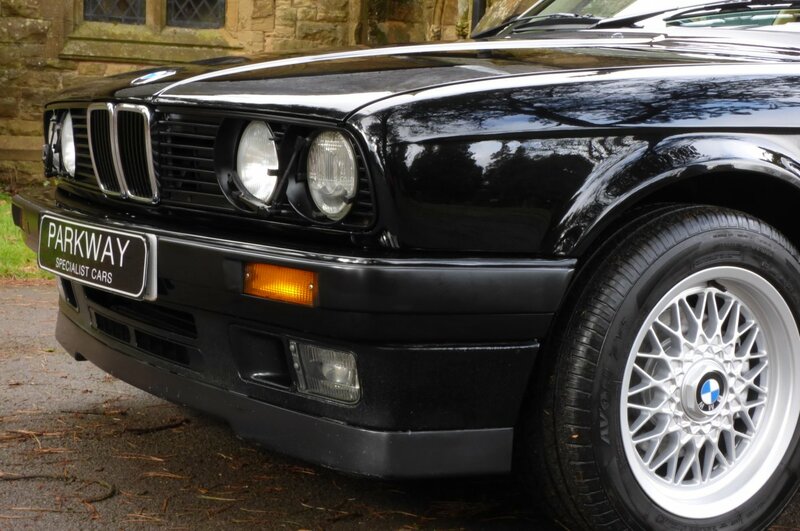 The Classic Body Shape Is Presented In Schwarz Black Metallic, Which Spectacularly Showcases The Signature E30 Exterior Curves And Sublime BMW Lines. 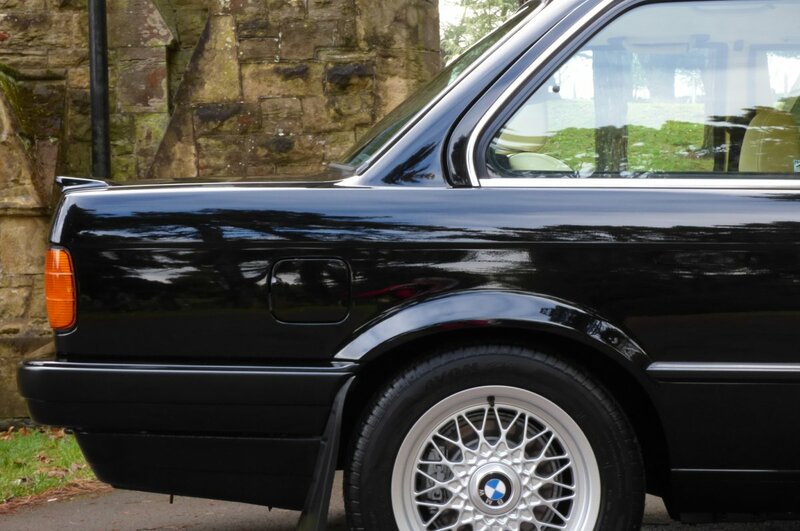 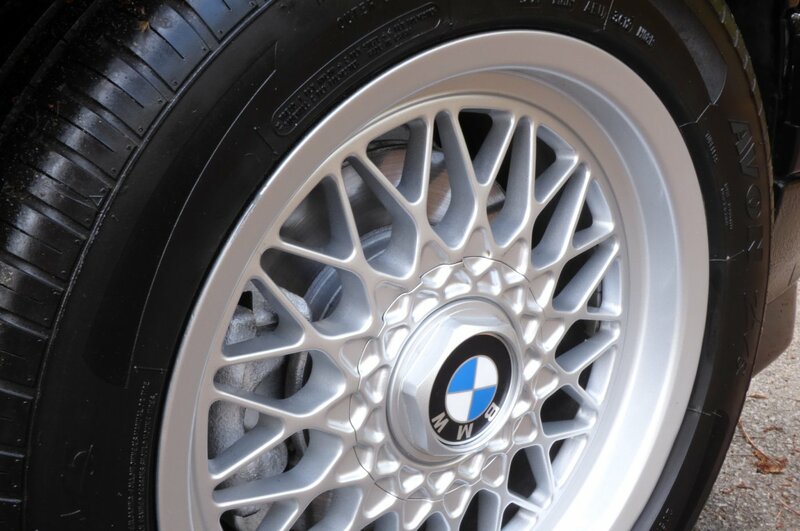 Further Exterior Features Are Presented With The Unmarked Silver Finished 15" Multi Cross Spoke BBS Alloy Wheels Which All Sit On Branded Tyres, The Twin Exhaust System, The Dark Plastic Side Mouldings, The Black Vented Front Grille Decorated With The Chromed Kidney Trims, The Colour Coded Rear Boot Lip Spoiler, The BMW Badges That Dominate The Bonnet And Boot, The Factory Front Headlamp Wipers, The Silver Finished Brake Calipers, The Colour Coded Mirror Caps, The Chromed Window Trim Pieces And Presented With The Chromed 325i Rear Boot Lid Badge, That Finishes The Vehicle Stance. 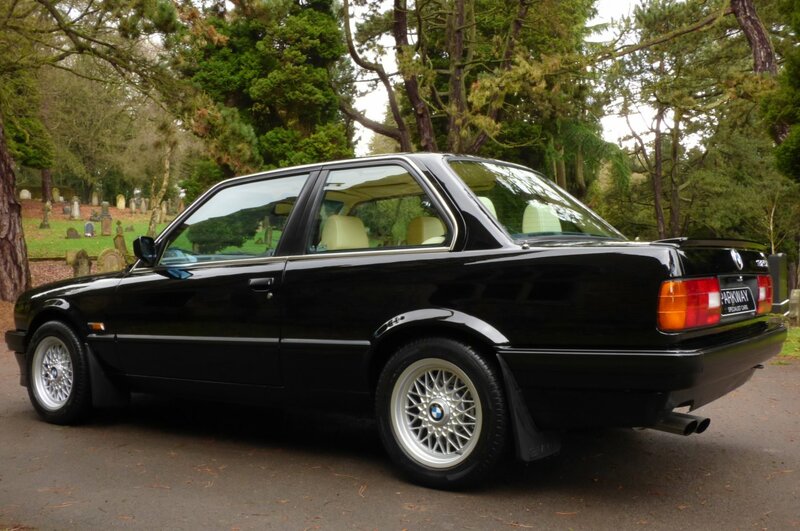 Perfect For That Drive Into The City Or As The Ideal Vehicle To Travel Through Europe On That Planned Trip. 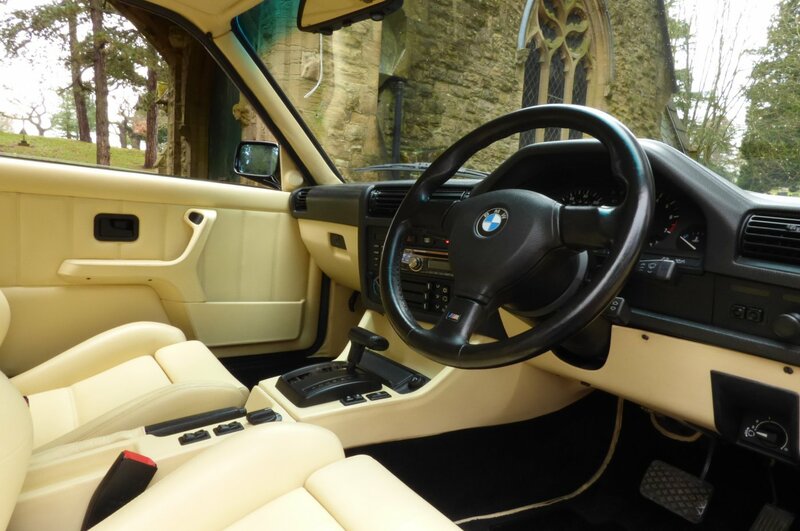 We Are Delighted To Have This Stunning Example Arrive Onto Our Current Vehicle Inventory With Only 3 Keepers From New And With Excellent Options To Include The Full Ivory Leather Sport Seating, The Unmarked Silver Finished 15" Multi Cross Spoke BBS Alloy Wheels Which All Sit On Branded Tyres, Heated Front Seats, The Solid Metal Electric Sunroof, Cruise Control, Remote Central Locking With Optional Fitted Alarm, Front Headlamp Wipers, The Colour Coded Rear Boot Lip Spoiler, Electric Windows, Electric Mirrors, The Three Spoke Black Leather Bound Steering Wheel, Manual Air Conditioning, Silver Finished Brake Calipers, The Twinned Exhaust System, Front Lower Driving Lamps, An Alpine CDA9847R Radio With CD System, Power Assisted Steering And So Much More. 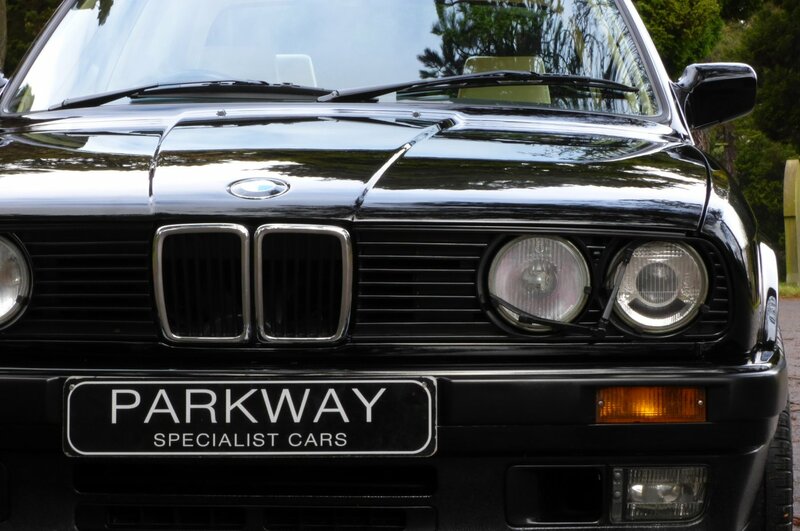 An Excellent Example Offered For Sale With The Entire Booklet Pack Set, An Extensive Past Historical Service Invoice Trace, A Fully Cleared Hpi Report And A Fully Functional Key Set With Alarm Remote Fobs.